Horizon Hobby Scale & Speed Savings Event « Big Squid RC – RC Car and Truck News, Reviews, Videos, and More! Is that tax refund just weeks away? Needing a new bash machine or scale crawler? Just announced by Horizon Hobby is their Scale & Speed Sales Event. 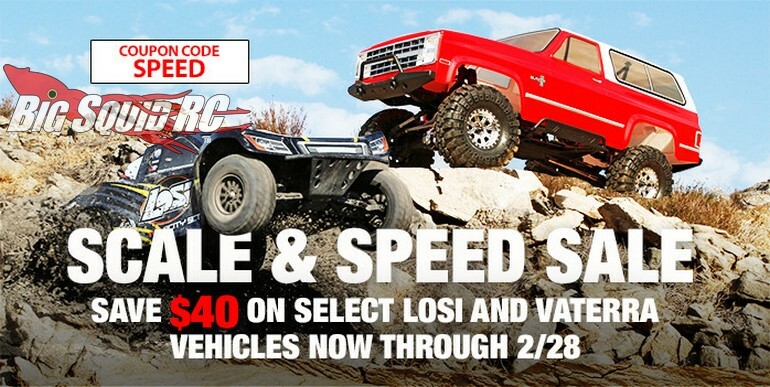 During the Scale & Speed event you can save some cash on that new crawler, monster truck, or buggy that you’ve been looking at. Now through February 28th, you can save $40 via a coupon code at checkout on the Horizon Hobby website. To get all the finer details on this event, use This Link to make the jump over to the official Horizon Hobby website. Hit This Link to read more Horizon news on Big Squid.